Ideamart is a multi operator platform which allow developers and non developers to build telco based applications by using Dialog Axiata PLC & Hutchinson Telecommunications Sri Lanka programmable telco infrastructure capabilities exposed through APIs and wizard based templates. 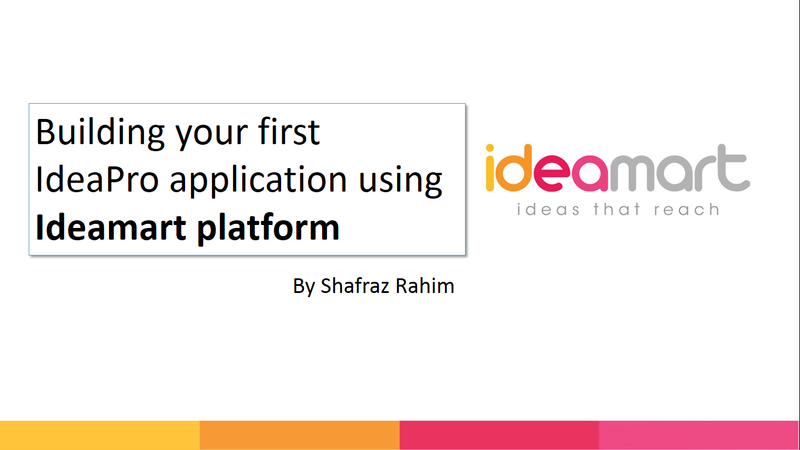 This tutorial will be focusing on how to create an IdeaPro application (offering focusing on developers to mashup API offerings) has 5 main parts which will be explained separately through video tutorials. Part 1 of the tutorial will explain how to create a simple Php based SMS sending and receiving script. 5. Part 5, Testing the application in active production.